Culture Shift is a Community Interest Company based in Lewes. We work across Sussex, using a creative approach to connect people, improve lives and build stronger communities. We deliver programmes for people with learning disabilities, and programmes to support young people’s mental health, alongside our flagship employer engagement programme, Creative Café. We are delighted to see our Creative Café programme funded through the Careers and Enterprise Company across East Sussex. 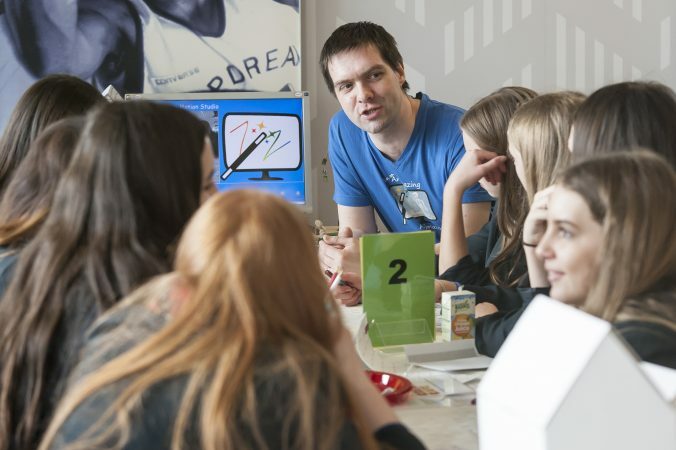 The Creative Café is a lively half-day event in which young people meet employers and industry professionals and find out about their jobs through a series of light-hearted activities. Businesses are supported to take part and with a ratio of 8 young people to each business. These events offer businesses a way to meet their corporate social responsibilities and support young people in thinking about their future careers. We are busy planning for our first event in Crowborough on 29 January. Culture Shift is always keen to develop events in which people can connect, converse and create new ideas. We’re just coming to the end of a project in Eastbourne, working with young people from all the schools to develop ideas to improve their town. We are keen to run similar events in other towns and communities across Sussex.